MG 0509+0541 = TXS 0506+056 is a variable BL Lac object in Orion, roughly 4° W of Bellatrix (Gamma Ori). The designation MG 0509+0541 refers to the MIT-Green Bank 5 GHz Survey (MG), where this object was detected as a radio source in 1981-82. Today, MG 0509+0541 is classified as a BL Lac object due to its (nearly) featureless spectrum. It took until 2018 when the first redshift could be determined based on very weak emission lines, detected with the 10.4m Gran Telescopio Canarias. in a flaring state (see light curve above) with enhanced gamma-ray activity in the GeV range. As for most BL Lac objects, this source was found to be rapidly variable in the optical by nearly 2 magnitudes, ranging between 14.2 - 16.1 mag. During bright state, visual observers may observe this blazar with telescopes of 8- to 10-inch of aperture. The object appears stellar even with large apertures. CCD observers, as well as visual observers, shall use the comparison stars given above. 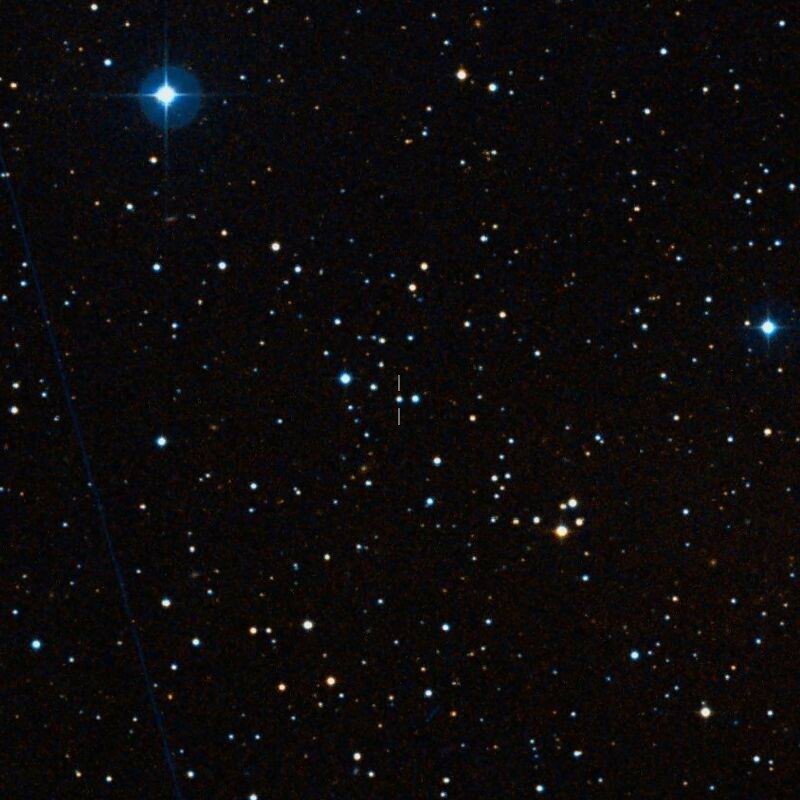 MG 0509+0541 is located in eastern Orion, only about 4° W of Bellatrix (Gamma Ori). The constellation Orion is well known for its spectacular nebula landscapes, like the Great Orion Nebula M42/43 (12° SE), the Horse Head Nebula B33/IC 434 (11° SE) and the Flame Nebula NGC 2024 (11° SE), just to mention the most popular ones. A more challenging deep sky object is another quasar, PKS 0405-12, a bright 14-mag stellar object at a distance of more than 5×109 light-years, located some 23° SW in Eridanus. 7.5, and 11.2 GHz from the Zelenchuk Survey. Beasley, A.J., Gordon, D., et al. 2002, ApJS, 141, 13; The VLBA Calibrator Survey - VCS1. Halpern, J.P., Eracleous, M., Mattox, J.R. 2003, AJ, 125, 572; Redshifts of Candidate Gamma-Ray Blazars. for High-energy Neutrino Emission and Cosmic-Ray Acceleration. Sources from the MG Survey. II - Maps and Finding Charts. Paiano, S., et al. 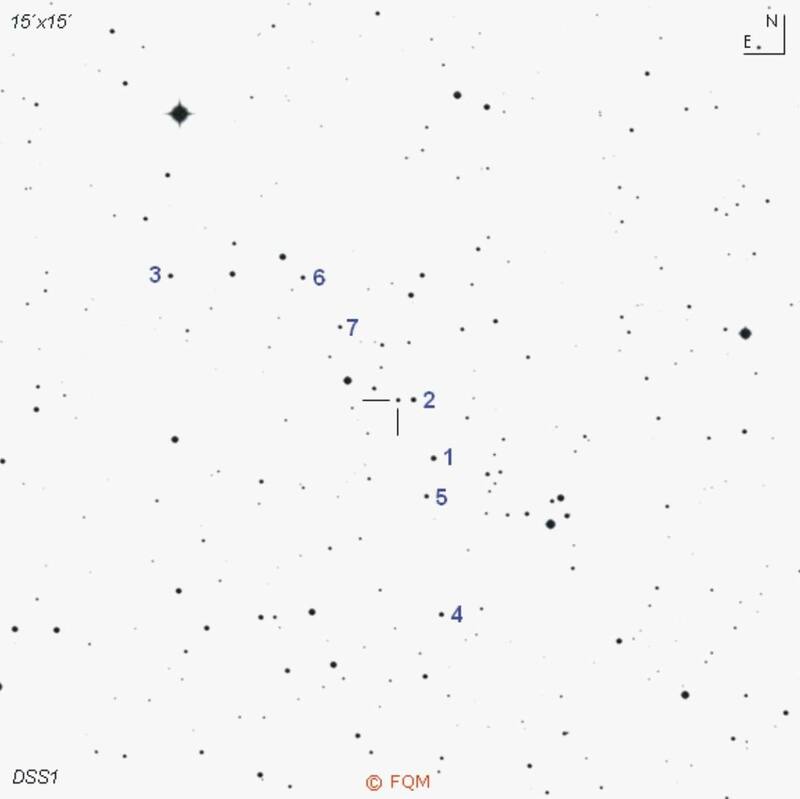 2018, ApJ 854L, 32P; The Redshift of the BL Lac Object TXS 0506+056. Coincident with High-Energy Neutrino IceCube-170922A.